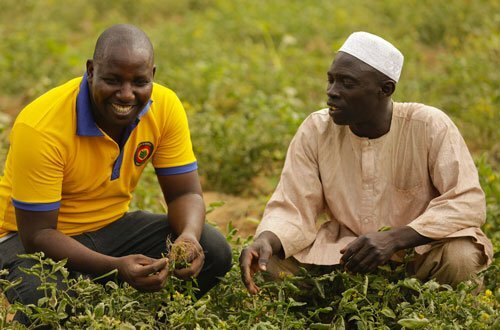 London, Jan. 25, 2019 (AltAfrica)-In Nigeria, the world’s largest single-train urea plant has created over 50,000 jobs across the agriculture value-chain, while its affordable fertilizer is boosting farm yields and putting big smiles on farmers’ faces. Co-funded by the African Development Bank, the Indorama Eleme Fertilizer project is a success story of public-private partnership (PPP). For years, Shuaibu Yusuf, a Kaduna-based farmer, struggled with low harvests from his grain and vegetable farm. His story changed when a farm officer he met in a rural market introduced him to Indorama fertilizer and taught him how to apply it correctly. The farmer saw immediate transformation – his crops – maize, tomatoes, pepper and sorghum – flourished. “The benefits that I get from higher-yield farming are increased food, education for my children and the ability to pay our medical bills. Low productivity brings despair. But as long as farming is profitable, I will introduce my children, neighbours and community members to it, so we can all move ahead economically,” Yusuf, who is married with 10 children, said. With financing from the African Development Bank and other partners, Indorama Fertilizer Plant produces 4,000 tons of urea fertilizers per day or 1.5 million metric tons annually. Forty percent of this goes into the Nigerian farming sector, nourishing plants, and increasing yield and farmers’ incomes. “I feel very proud of what we have achieved here. We have brought about the world’s largest single train urea plant in a country where 70 percent of the people are farmers. So we have contributed immensely to the food security of this country,” said Mr. Deepu Sivadas, Indorama’s Chief Technical Officer. Happy Users Attest to Indorama Fertilizer’s Effectiveness. “Since farmers started using Indorama fertilizer, there’s been about a 50% increase in yields, compared to other years. That’s why we are in the business of bringing the product from Port Harcourt to our local farmers,” says NuraDogo, an elated agro dealer based up north in Makarfi village, Kaduna State. Dogo buys fertilizer in large volumes from the Indorama Eleme Fertilizer plant in Port Harcourt to sell to local farmers. “Sales are increasing,” he says. One key to reducing food production costs and increasing food supply is locally produced fertilizer. Low consumption levels of fertilizer translate to low harvests in Nigeria and indeed Africa as a whole, where average fertilizer use stood at 10-15% of global levels. As part of its strategy for the agriculture sector, the African Development Bank in 2013 extended a senior loan facility of US$ 100 million to Indorama Eleme Fertilizer and Chemicals Limited to part finance a US$ 1.2 billion urea fertilizer plant (Line 1) with production capacity of 1.5 million tons per annum. The goal of the project was to enable Nigeria, which relied heavily on fertilizer imports, (80% of fertilizer consumed in the country was imported), to progressively become self-sufficient and a major exporter. The completion and exploitation of the fertilizer plant in 2016 helped turn Nigeria from a net fertilizer importer to a self-sufficient producer, and now a net exporter of fertilizer. In 2017, Nigeria exported 700,000 metric tons of urea to Africa and global markets. Agriculture is a dominant sector that engages about 70% of Nigeria’s population, contributes significantly to rural employment, and provides substantial non-oil foreign exchange earnings. However, variations in crop yield can have a massive impact, affecting revenues, food security, and even the health of farmers and their families. Nigeria spends at least US$6 billion per year on food imports. The availability of fertilizers at affordable prices is not only helping farmers see higher yields with improvement in incomes, but is bringing other benefits. Local production of fertilizer is helping shore up foreign exchange reserves, and some of Nigeria’s previously flared natural gas, is now channeled into fertilizer production. The Indorama project has created tens of thousands of jobs and above all, has brought hope to youth like Sampson Nwuko. “Indorama has helped me pay my house rent and take care of my family. The project introduced new production technologies and changed the lives of many people in Nigeria,” said 31-year old Nwuko, an Instrumentation Engineer at the Indorama Eleme Fertilizer Plant in Port Harcourt. At age 16, Nwuko lost his father just after completing secondary school. Life became tough and he struggled through university, joining the ranks of Nigeria’s unemployed shortly afterwards. All that is now in the past, thanks to full time employment with the fertilizer company. For Nwuko and many others, the Indorama plant has been an important step towards the Bank’s goal of radically transforming Africa’s agriculture and making the continent self-sufficient in food. To date, Indorama has trained over 200,000 farmers on the proper use of fertilizers and that number is expected to reach 2 million by 2021. The, creation of an additional 50,000 jobs and an annual contribution of US$2 billion to Nigeria’s GDP are other bonuses. Thanks to the remarkable success of Line 1, the Board of the African Development Bank recently approved another senior loan facility of US$ 80 million to Indorama Eleme Fertilizer and Chemicals Limited to part finance a second US$1.1 billion fertilizer plant (Line 2). 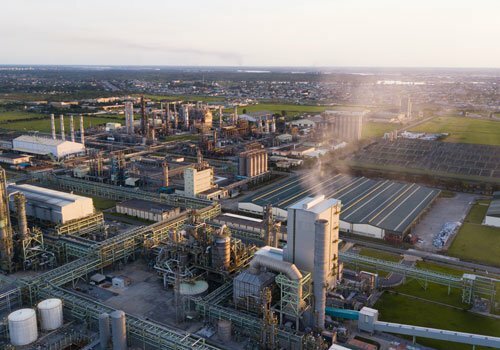 The additional plant will enable the company actualize its plans to double its fertilizer production from 1.5 million tons of urea to 3 million metric tons per annum.